The much anticipated Just for Baby Event is here! 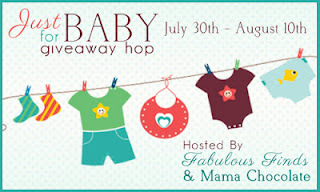 This Giveaway Hop is hosted by Fabulous Finds and Mama Chocolate. We are featuring everything under the sun you’ll need for baby. Be sure to visit each blog from the linky at the bottom and enter for your chance to win some really amazing prizes! This event will end on August 10th at 11: 59pm EST. 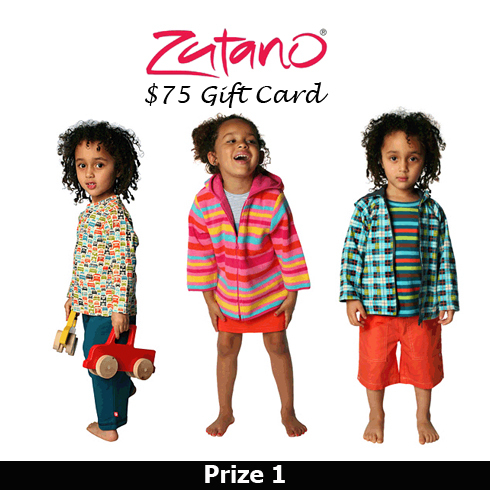 Zutano: $75 Gift Card for one winner to spend on baby or toddler clothing from newborn to 4 years old. Read our full review. Fellini Baby: Organic Yoga Outfit in your choice of size/color worth $42.50 (sizes 3 to 24 months). Rear our full review. Oompa: $25 Gift Card to the awesome Oompa store filled with European, wooden toys! Read our full review. 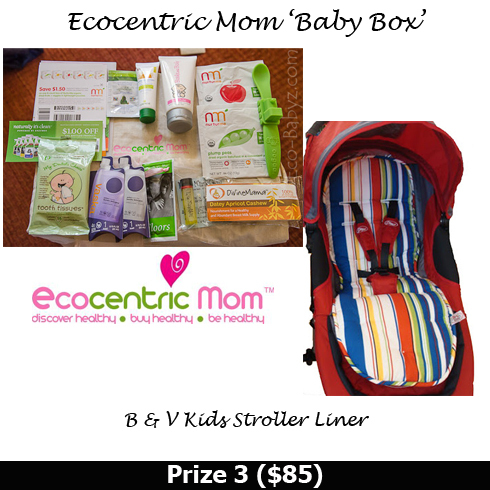 Ecocentric Mom Baby Box: A box full of Eco-friendly baby goodies, from baby food to lotion and snacks. Read our full review. B & V Kids: Win a stroller liner to extend the life of your stroller and make it easier to clean! Read our Sponsor Highlight. Disclaimer: I did not receive payment for this post. I was provided with products for event review purposes, all opinions are my own and yours may differ. Fabulous Finds, Mama Chocolate and the Just For Baby Giveaway Hop bloggers are not responsible for sponsors that fail to fulfill their prizes. The Beluga Surplice Dress is my favorite Zutano item. My favorite zutano are the tableware. Such cute prints and styles. From oopma, I like all of the organic toys. So many to choose from, I couldn't choose just one. Fellini baby blankets looks so cozy. BZ kids is really cool. I found a stroller and car seat cover I would love! No more major cleanups, and love the organic options. AT Zutano I love the Fuchsia Baby Bodice Jacket. My favorite item from Zutano is the Garden Snail Picnic Dress (http://zutano.com/product/garden-snail-picnic-dress/). My favorite item at Oompa is the Hape Pound and Tap Bench (http://www.oompa.com/item/JHP-MUS-POUND-TAP-E0305/Hape-Pound-and-Tap-Bench/1.html). 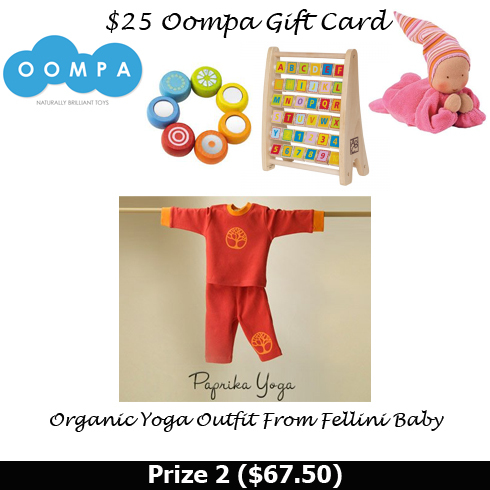 At Fellini Baby, my favorite is the yoga outfit in paprika - looks so comfy to sleep in, too! My favorite at B&V Kids is the custom wipe cases. I like the Summer Mingle pattern. Love the Elephant 4 piece crib bedding set from Zutano! My favorite item from oompa is the wooden pull crab calino, so cute! My favorite item from Fellini Baby is, the avocado yoga pants! My favorite item from B&V kids is the stroller liner with piping in Robot Factory! I love the car seat covers at B&V. I don't have a favorite...any would do! i love the owls short sleeved newborn onesie from Zutano. I like the Plan Toys fire engine from Oompa. I like the Custom wipe case in black damask. At fellini, I like the baby sac. B&V Kids - I liked the stroller blankets. my favorite item at Zutano is the chocolate cozie booties. My favorite item at Fellini Baby is the avocado onesie. My favorite item at B&V Kids is the City Mini Stroller Liner in black damask. I like the Lime striped romper from Zutano. I like the Bea organic doll from Oompa. My favorite Fellini baby item is the avocado onsie and pant. I like the cupcake stroller blanket with pink fabric from B & B Kids. The Froggie Slip on Shoe at Zutano is pretty sweet. I love the garden snail picnic dress at Zutano! I like the What A Zoo Footie from Zutano. My favorite item from oompa is the Sort and Spin Fish Bowl. My favorite item on Oompa is the Cordoba Block set. My favorite item at Fellini Baby is the Paprika Long Sleeve Tee. My favorite item at B&V is the Peg Perego Bassinet Sheet in Charcoal Groovy. I love the Clunkers Newborn Outfit Set (4-Piece)! I love the sort & count toy! I love the avocado onesie! I love the lollipop fitted bassinet sheets! I like the Pagoda Stripe Reversible Toddler Hoodie at Zutano. At Oompa I like the Red Tricycle. At Fellini Baby I like the paprika Yoga Outfit. I like the Minky Dot Car Seat Cover at B & V Kids. I love the Custom Wipecases from B & V Kids. B&V Kids: Custom Wipes Cases are super cute! At Zutano I love the Sugar Bramble Pleat Dress. My grandsons would love the BALL TRACK SKYSCRAPER at Oompa. Okay so I'm in love with Fellini! I would love the Yoga Outfit for my granddaughter. I like the stroller blankets at B&V Kids. I love the Chocolate Stripe Newborn Receiving Gown at Zutano! I like the Baby Sack From Fellini. Fave Zutano item is : Beluga surplice dress! Oompa - Magica clutching toy looks like fun! BV - white minky with pink butterflies stroller blanket! My favorite item at Zutano is the fuschia cozy booties. My favorite item from Oompa is the Moby Baby Clutching Toy. My favorite item at Fellini Baby is the Baby Sack. My favorite item at BV Kids is the stroller blanket. I love all things Kathe Kruse at Oompa, especially Baby Doll Elli. My favorite thing at Fellini Baby is their Natural Baby Sack. So simple and love that it's organic. From Oompa, I like the pop-up toaster. At Zutano, I LOVE THEIR PLASTIC DINNERWARE! At oopma I love their block set! From Fellini I love the paprika onesie! I really like the Clunkers Newborn Outfit Set! I really like the Cordoba Blocks from Oompa! I like the baby blankets at fellini baby! I like the convertible car seat cover in minky dot chocolate from B & V kids! From Zutano, my favorite item is the Super Stripe Reversible Toddler Hoodie for toddlers. From Oompa, I like the Croakos the Frog Backpack. 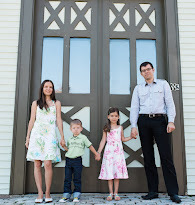 Love the Zutano Balalaika A-Line Jumper! I also like the Fellini Baby Baby Sac . Item#SLCITI-BLACK DAMASK(100% COTTON) at B & V Kids! I love the slipper socks! From B & V Kids I like the sunshine custom wipe case. My favorite item at zutano is the Kitty Screen Terry Toddler Jumper! From Oompa I really love the Haba Cordoba Blocks. From Fellini Baby, I really like the Avocado Onesie. From B & V Kids, I really like their stroller blankets, especially the blue minky with black damask! From Zutano I like the Beluga Bubble. From Oompa I like the Pkolino Clothes Tree (White). From Fellini Baby I like the Avocado Onesie. From B&V Kids, I like the Britax Car Seat Covers. 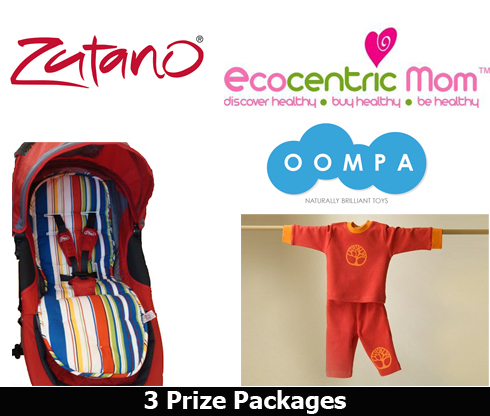 I like the Paprika Yoga Outfit from Fellini Baby. From B&V Kids, I like the Ready, Set Go Carseat cover. My favorite B&V kids item is the Wild Animals Convertible Carseat Cover. It's hard to pick a favorite from Zutano, but I really like the Northern Lights romper. I love the apple cozy elf onsie at zutano. I love the avocado onsie from Fellini baby. I love the stroller blankets from b & v kids. The britax marathon car seat liner in minky pink dot! I like the CONVERTIBLE CARSEAT COVERS in PIMA COCOA 100% COTTON at B & V kids. Zutano - I really like the Elephants Quilt! Beautiful! Fellini Baby - I love baby sacks! Our daughter outgrew hers so quickly. Fellini Baby's sleep sack fits to 12 months! That would be spectacular for us! B & V - The custom wipes case in Bubble Gum Heart would be prefect for us! I love the Fuchsia Stripe Baby Bodysuit from Zutano. So classic! From Oompa, I love the Discovery Blocks. And from Fellini Baby, I like the baby blankets. I always appreciate natural products. And from B & V, we could really use the stroller liner in basic blue color. I like the classic alphabet blocks from oompa! I like the gumballs slip on shoes at Zutano.. SO ADORABLE! And I like the Fellini baby blanket in paprika! And from B&V Kids although I like their stroller covers, I love their stroller blankets (who doesn't like robots? ).